Classy ladies and gentlemen, the time has come to acknowledge something we all know to be true – brunch blows every other meal out of the water. Not quite breakfast, not quite lunch, we love brunch because it is all about choice. In the mood for something sweet? Savory? Alcohol before noon? Brunch does not judge us! The best part about brunch is laughing around a table with your closest friends, forgetting that tomorrow is Monday. 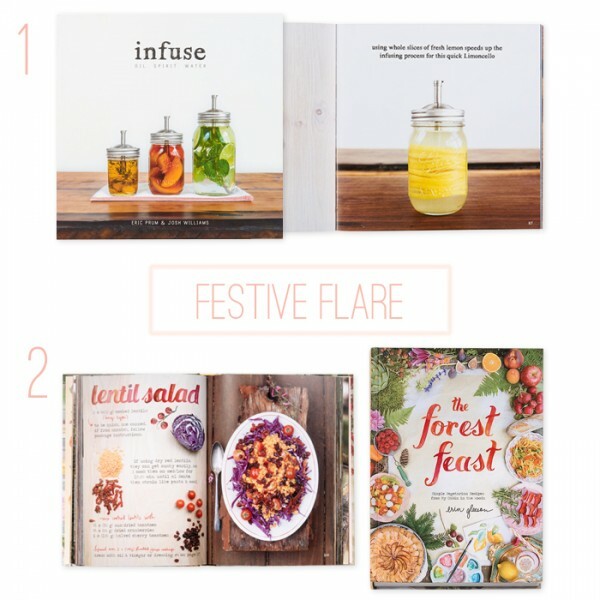 Papersource has everything you need to throw a fabulous brunch party out of the comfort of your own home. Colorful and chic, these table settings set the tone for an enchanting summer morning. 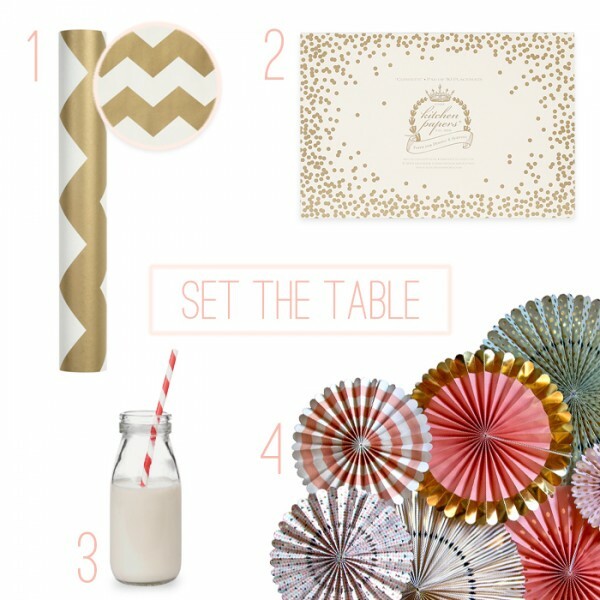 Cut our gold chevron role wrap to fit your kitchen table, and add a hint of sparkle with our confetti paper placemats. A must-have are Vintage Milk Bottles – they make charming decorations and are great for holding snacks or your favorite summer flower. Add modern flair to your home by hanging our adorable trend party fans above your buffet or around your windows! Continue elegant and warm accents with our trendy gold confetti coasters from Kate Spade. 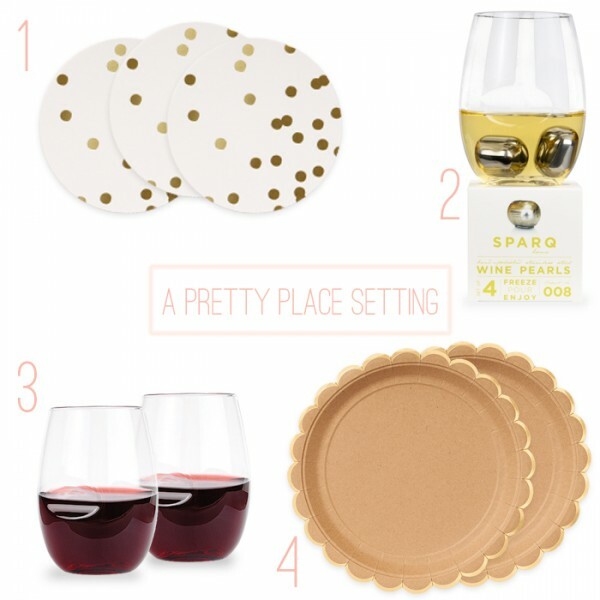 These shimmery coasters look so cute under our Govino Wine Cups, and both items are reusable! 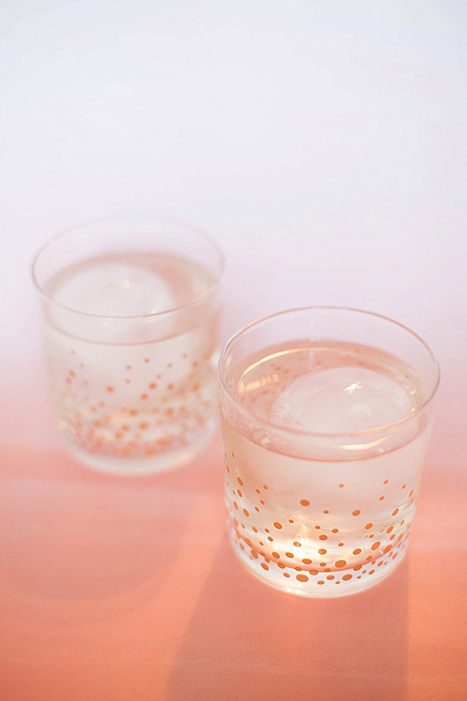 The best cure for a Saturday night out is a Sunday morning mimosa – Sparq Wine Pearls keep your cocktail cold without watering it down, and they are effortlessly classy. We know that preparing brunch is no piece of cake (reminder that cake is acceptable at brunch – another reason why we love it) so save yourself time cleaning up with our stylish gold foil paper plates. Use one or all of these products to make your brunch just as fabulous as you are! One of the most fun ways to cool off during the summer is a pool party with friends. 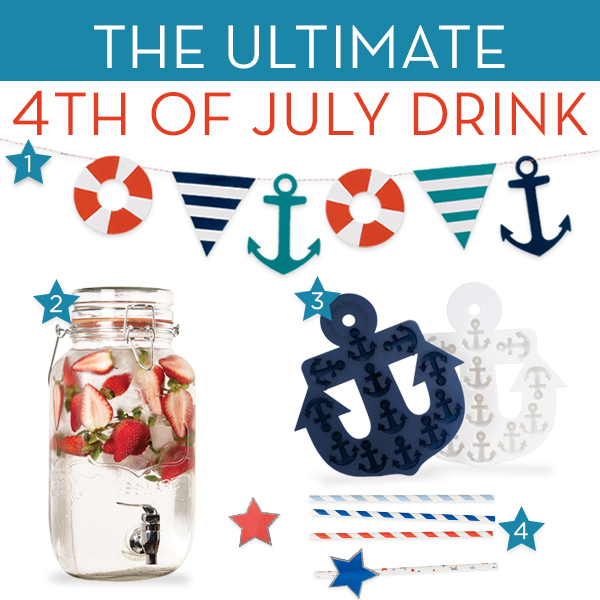 Here are some of our must-haves for a great summer bash. First thing’s first: you need a way to haul your stuff! This Red Stripe Tote Bag is durable and cute. Even better? 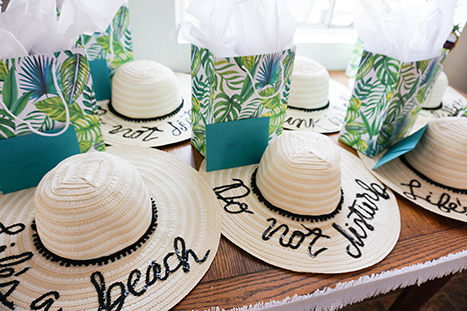 It’s got plenty of room for this super cute Beach Radio, because a pool party is nothing without music! We love this vintage-looking radio because you can plug in your iPod or smart phone to stream your own playlist. And of course you’ll need a pool float! 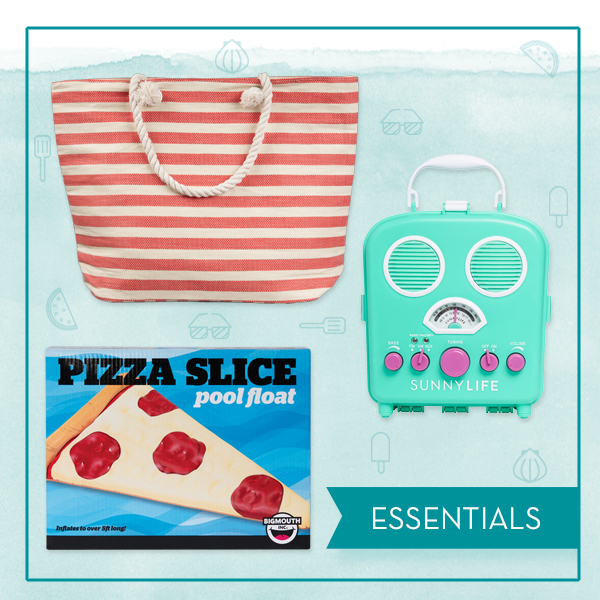 Lounge around and catch some rays on this funny Pizza Slice Float. Emojis are a fun way to text, but we love the idea of using Emoji Stickers as a way to communicate messages in everyday life. Here are some of our favorite ideas on how to use these sassy icons. 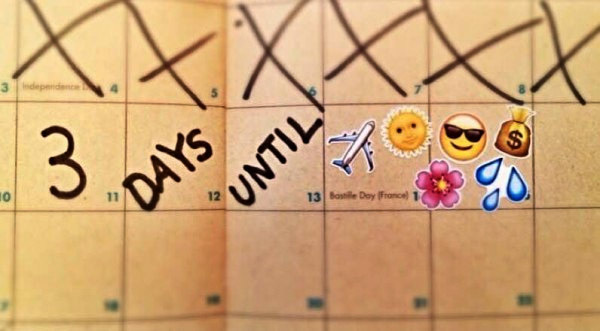 Use them to mark your planner for an upcoming summer getaway…. 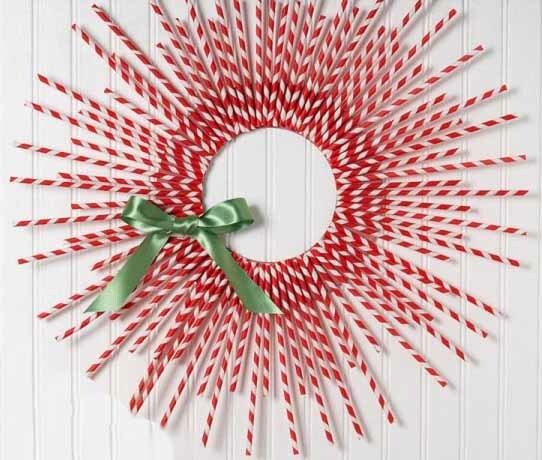 As we start the long weekend, here are three things we’re loving right now at Paper Source. TOTEally crazy about cats. 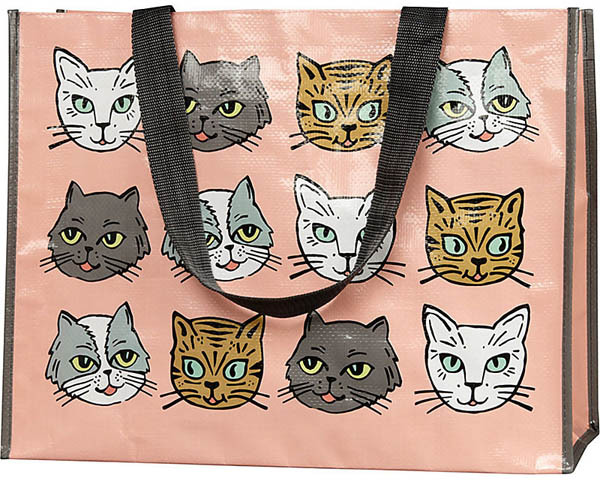 Perhaps it’s our vision of spending the last holiday of the summer on the beach with all our favorite gear in tow, but we’re digging this cute cat tote. It’s got a plastic coating and webbed nylon handles–material that will make it through the wear and tear of the sand, and can be used to carry supplies for after-school activities. The quirky critters on the front make us laugh, and are a hit with every generation.